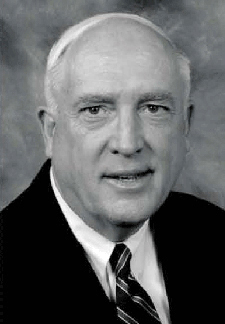 Dr. T. Peter Ruane is president and CEO of the American Road and Transportation Builders Association, a national federation of public and private transportation construction interests with more than 5,000 members. He has more than 35 years of experience in the economic development, transportation and construction fields. He spoke with Innovator about the private sector perspective on innovation use in transportation construction. Why is it important for the highway industry to innovate? Innovation is important for cost savings. New technology allows both the private sector and their customers to get a good return on their investment. And safety is an overriding aspect of why technology is important. The industry will not experience the growth it needs without continuing to innovate. Part of that is because certain things are out of our control, like the materials price rise of the last five years. For people to stay in business and remain profitable, they were forced to be even more innovative and use technology in a smarter way. When things out of your control drive up your costs, it just makes it more imperative to innovate every breathing moment. That's the way we look at it as business people. I attended the session the Federal Highway Administration held for stakeholders on the Highways for LIFE program. I think the agency should be commended for achieving an awful lot with what I call a starvation budget. With limited resources FHWA has done an excellent job of trying to promote regular use of technology and trying to enhance its deployment throughout the country. But we have a long way to go. One of the things we suffer from is an image that our industry is not a practitioner of innovation and modern business practices. That is primarily a misunderstanding on the part of our customers-the public. They still have an image of someone standing around with a shovel. Most people are aware of innovations like GPS in our road equipment and the computer-aided design our engineers use to design projects, but I don't think the public understands the day-to-day innovations that almost any good company uses in the real world. How should the highway community address that challenge? Through marketing. There's a shortage of marketing professionals in a lot of the state agencies. The only way to address that is to have more investment in those kinds of people and to have a steady drumbeat of information out to the media and the customer base on each and every project. When a state agency announces a project, they should not just say "we're going to redo a bridge for x amount of money and it will be done by such-and-such a date." They ought to include in the announcement reference to new technologies being used, new savings being realized and new safety features being employed. They should build that into the routine communication done at the outset and throughout the project. At the end of the project they should tell everyone how those new things worked-how they saved time, how they saved money, how they prevented injuries or saved lives, and what the long-term improvement is to the public. We don't do enough of that. What keeps the highway industry from being as innovative as it could be? Because many project selections are based principally on cost, some companies are reluctant to share their breakthrough technologies because it gives them a competitive advantage. Also-and we've worked with FHWA on this-the adoption of proprietary products has been somewhat of a barrier. We're making progress on that. But we've still got a ways to go to make sure that if a company comes up with a better way of doing something and it has a patent on it, they can at least use it on a project and not slow it up until everyone else catches up. Otherwise, the firm that has invested its money in R&D loses the incentive to share because they're just giving it away to everybody. The biggest barrier has always been that there's not enough money spent in the deployment area. It's great that we're doing research, which is underfunded as well. But how do we get it into the private sector so people can use it? I realize how hard that is. But I think FHWA knows it. They've got to get more resources to do that and we're going to do our best to support them in getting those resources. What more should the highway industry do to encourage innovation use? What needs to be done is constant education and telling the story to our elected representatives, the media and the public at large that we are using innovation and state-of-the-art technology on these projects and that it's achieving the goals of saving money and lives and, if you use the theme of Highways for LIFE, delivering a better experience for drivers. But I don't think we're doing a good enough job there. That's where we really have to boost our investment in time and energy. A lot of people don't appreciate that. They finish a project and want to move on to the next project. Well, the work's not done. The story has to be told and retold and told again. We also have an issue of attracting and retaining talent in the industry. There's as much use of technology in transportation construction as there is in most other businesses, but young people don't know that. Why would they consider a career in engineering or construction management or design if they don't know there are all kinds of opportunities to employ technology? We in the industry need to do a better job of communicating this to attract good people. If you match us up against commercial and residential construction, we compare very favorably in terms of stability, growth record and, most importantly, outlook. If we all do our jobs right, the next 20 or 30 years could be a really strong marketplace for transportation construction professionals. What advice would you give your industry colleagues about using innovation? Some are reluctant to talk about how they're using innovation and technology and they don't want to give away competitive secrets. They don't want folks to know their approach is more economical, faster, better, whatever. If we could overcome that by sharing best practices in open forums and in ways that don't affect the competitive position of a company, that's what we'd like to encourage people to do. For all of us-public sector, private sector-the issue is really articulating how innovation has made a difference. I'm tired of the industry having not only a pork-barrel image, but an image that we're Neanderthal and not at the cutting edge of technology and innovation. But it's our own fault because we haven't done a good enough job of telling people what we're doing in that area. The obligation is on us, the industry, to do a better job of telling the story. We've got to figure out a way to get this information out there in a compelling fashion that educates people and turns them into supporters. FHWA Associate Administrator King Gee told stakeholders that Highways for LIFE is about changing the culture of the highway community to improve the way roads and bridges are built. Positive outcomes of the Highways for LIFE program include faster completion of highway construction projects, more cost-effective solutions to transportation challenges, and reduced reluctance of highway agencies to try innovation, according to participants at a stakeholder meeting at Turner-Fairbank Highway Research Center in McLean, Va. The May meeting, which drew about 30 people from Washington, D.C., -based transportation groups and the Federal Highway Administration, was part of an ongoing effort to get feedback on the pilot program. "We're looking for your thoughts and advice on where to go next with this program," FHWA Acting Deputy Administrator Jeff Paniati told meeting participants. Highways for LIFE continued outreach over the summer to stakeholders throughout the country. "A key part of Highways for LIFE is stakeholder involvement," Highways for LIFE Team Leader Byron Lord said at the Turner-Fairbank meeting. "It's a very important part of the success of our program." Meeting participants praised the program's efforts to encourage greater use of performance-based contracting, in which highway agencies set project goals and contractors come up with innovative ways to achieve them. They also said demonstration showcases were beneficial because they allow transportation professionals to observe innovation use in person and exchange information with peers. Stakeholders provided feedback on the Highways for LIFE program at a meeting at Turner-Fairbank Highway Research Center. "The program has added to the catalog of success stories on innovation and to the knowledge of technology implementation," said Transportation Research Board Executive Director Robert Skinner. Among the suggestions offered to enhance the program were establishing more flexible eligibility criteria for participating in program components, expanding the program's focus on construction technology to include preservation and maintenance, increasing efforts to leverage private sector innovation, and communicating the mission and benefits of the program more broadly. "From the highway users' perspective, the benefits of the program are faster project completion and more cost-effective projects," said Greg Cohen, president and CEO of the American Highway Users Alliance. "We can build more projects with the money we have available." Before the meeting, participants reviewed a draft report outlining program results and lessons learned since the pilot project began in 2006. Through its focused technology deployment approach, Highways for LIFE has developed a more effective way to encourage adoption of high-payoff innovations that are available but infrequently used. Dubbed the Vanguard Technology approach, it combines proven marketing techniques and designated funding to move technologies all the way to implementation, greatly accelerating their adoption. FHWA is using this new approach to promote four technologies: road safety audits, prefabricated bridge elements and systems, precast concrete pavement systems, and techniques to make work zones work better. Highways for LIFE has provided incentives for 25 projects in 21 states that use proven but rarely used innovations. For each project, states are encouraged to develop performance goals that define results in key areas-safety, construction time and congestion, quality and user satisfaction. Many projects feature showcases at which transportation stakeholders from throughout the country can observe innovations in action. Through Technology Partnerships, Highways for LIFE is helping the private sector transform innovations from laboratory prototypes in late-stage development to market-ready products. FHWA has awarded grants to seven companies to refine and test their innovations. As part of the program, more than 30 state highway agencies are evaluating the technologies in real-world settings. Proven, readily available innovations can be used on construction projects to save money, increase safety, minimize construction impact on road users and extend the time until roads and bridges need to be rebuilt or repaired. Innovation should be used on a project because it is the best solution available to meet customer-focused performance goals. Customer needs and performance goals should drive the use of new technology. Although hundreds of millions of dollars are spent on highway research, only a fraction is dedicated to deploying innovations and making them standard practice. Resources-both funding and people-need to be dedicated to technology deployment. Transportation agencies need effective incentive mechanisms to encourage the use of new technologies. A program that spurs agencies to try new ideas by providing financial support and technical assistance helps them overcome barriers. To provide comments and suggestions on the Highways for LIFE program, visit the program's website at www.fhwa.dot.gov/hfl. What do the Associated General Contractors of America and Kiewit Corporation have in common with the Federal Highway Administration and the Texas Transportation Institute? They're all committed to enhancing quality in America's roads and bridges and, by no coincidence, they're all members of the National Partnership for Highway Quality. A partnership of public agencies, industry organizations and private firms, NPHQ is a unique organization. "It represents probably the only place where the public sector and the private sector work together to advance an agenda for the quality of the nation's highways," said Highways for LIFE Team Leader Byron Lord. "Quality is the focus of the NPHQ and one of the key goals of the Highways for LIFE program. We have a common goal to significantly improve the quality of our nation's highway systems." NPHQ works to improve highway quality several ways: It promotes the formation of state highway quality programs and helps them with materials, workshops and expertise. It promotes training and certification for technical skills used in highway work and supports the training programs of its member organizations and academia. It conducts award programs recognizing best practices in highway quality. And it communicates the benefits of highway quality programs to industry, government and the public. "One of NPHQ's most significant activities is to advance state quality partnerships, to create within states a parallel working structure for others in the public and private sector to address quality needs in the states," said NPHQ Executive Director Bob Templeton. Michigan is one such state, and its Michigan Construction Quality Partnership, formed in 2006, illustrates that the private sector is as committed to quality as the public sector. In fact, it was two industry organizations, the Michigan Infrastructure Transportation Association and the Michigan Concrete Paving Association, that approached the Michigan Department of Transportation advocating a public-private partnership for highway quality. "The primary impetus was that MDOT was starting to push for expanding post-construction warranties as a measure to get a higher level of quality on road and bridge construction projects," said Glenn Bukoski, vice president of engineering services for the Michigan Infrastructure Transportation Association. "Michigan already has one of the largest warranty programs of state DOTs." The private organizations believed that a better approach to highway quality than extended warranties was comprehensive training. Michigan is now rolling out a training program for field personnel and supervisors (owners, consultants, contractors). In the future, it plans to provide training for managers and superintendents and then for policy makers and administrators. MDOT won NPHQ's top 2008 "Partnering Award" for an Interstate 94-U.S. 24 interchange project. State programs are the ones NPHQ recognizes in its extensive awards program because state-level highway quality organizations are where quality hits the road. While state programs promoted by NPHQ are the front line of quality improvement, NPHQ also plays an advocacy role in training and other quality initiatives, and in communicating the benefits of highway quality programs to a wider audience. NPHQ's Communications Subcommittee, for example, sends a regular newsletter to its members and the highway construction industry and distributes a periodic congressional update. "It's really geared more toward policy makers, for state people to use with their congressional folks, for example," said Valerie Burnette Edgar, Communications Subcommittee chair and communications director for the Maryland State Highway Administration. "As they're going into reauthorization, we want to make sure that highway quality is included in the process and that they understand why it's important." Training and lessons learned through the Maryland Quality Initiative, the local analog of NPHQ, helped provide the impetus for the state agency's Americans With Disabilities Act Compliance Program, which won a 2008 "Breaking the Mold Award." The award recognizes "champions of new ideas so that similar gains can be made by others who apply the same techniques," according to NPHQ. For more information on NPHQ, visit www.nphq.org, or contact Bob Templeton at (512) 301-9899 or Valerie Burnette Edgar at (410) 545-0303. Registration is now open for "Leap Not Creep: Accelerating Innovation Implementation," a new course developed by Highways for LIFE. Available through the National Highway Institute, the course provides transportation professionals with the tools to put innovations to work quickly and make them part of a highway agency's standard procedures. The course is taught in a blended format: a two-hour Web conference participants view on their computers, followed a week or two later by a two-day session with technology transfer experts. It covers the features of successful innovation implementation, components of an implementation plan, resources for locating innovations, and strategies for overcoming barriers to adopting innovation. For more information on the course, contact Julie Zirlin at (202) 366-9105 or Julie.Zirlin@dot.gov. For registration details, go to www.nhi.fhwa.dot.gov/training/course_search.aspx and use the quick search feature to find course number FHWA-NHI-134073. The Federal Highway Administration has awarded a grant to Coreslab Structures (Omaha) Inc. to manufacture and test full-depth bridge deck panels made of ultra high-performance concrete, a new class of concrete with much greater durability than conventional concrete. A bridge demonstration project in Wapello County, Iowa, will be the first in the nation to use UHPC in modular bridge deck panels, which will be manufactured off-site and installed with field-cast UHPC joints. The deck panels have been strategically designed with a "waffle" shape, reducing the volume of UHPC and the associated cost. Coreslab obtained the $382,971 grant through the Highways for LIFE Technology Partnerships program, which provides incentives to private industry to develop promising technologies into market-ready products that can cut construction congestion and boost highway quality and safety. It's the seventh grant awarded through the program. The UHPC bridge deck system can be used to build new bridges and rehabilitate existing bridges. In addition to restoring deteriorated bridge decks, the system makes it possible to upgrade the load capacity of existing bridges by improving their strength and reducing their weight. Using prefabricated bridge components increases safety by reducing the amount of time workers need to spend on the construction site. It also speeds construction and reduces the impact of construction congestion on travelers because it can cut the time needed to install a bridge deck from weeks or months for cast-in-place construction to just days. Using UHPC provides superior durability, extending the life of the bridge deck. The validation testing and bridge demonstration project will enable the company to assess the structural performance, deck constructability, field-cast joint performance and overall behavior of the bridge deck panels. In addition, the company will produce a life cycle cost analysis that addresses the viability of production, deployment and operation of the bridge deck panels. FHWA issued a call for new Technology Partnership proposals in August. For details, go to www.fhwa.dot.gov/hfl/partnerships. For more information on Technology Partnerships, contact Julie Zirlin at (202) 366-9105 or Julie.Zirlin@dot.gov. For details on full-depth UHPC waffle bridge deck panels, contact Todd Culp at (402) 291-0733, extension 480, or tculp@coreslab.com. Connection Details for Prefabricated Bridge Elements and Systems Manual Cover. The Federal Highway Administration has published a new manual on connections used in prefabricated bridge construction. Connection Details for Prefabricated Bridge Elements and Systems (FHWA-IF-09-010) can help engineers save time and money as they design prefabricated bridge projects, whether they involve new construction, replacement or rehabilitation. Prefabrication is a key part of accelerated bridge construction, a movement to speed delivery times on bridge projects. Prefabricated bridge components, produced in a controlled environment and quickly assembled at the construction site, can reduce fabrication time and cost, minimize traffic disruption, and eliminate the need for a temporary bridge. The manual is organized so that a designer can choose and adapt appropriate connection details to use on a project. Separate chapters cover details for superstructures, substructures and foundations. The details are printed on two-page data sheets that can be removed from the manual and copied, enabling the designer to build a detail library for each project. The connection details, which have been used on more than 150 ABC projects, come from state and federal agencies, international organizations, researchers and producers. For each connection detail, the manual provides a project description and contact information for the source so manual users can follow up for more information. The manual provides a good starting point for designing a complete bridge prefabrication project, Michael Culmo, vice president of transportation and structures for CME Associates Inc., told participants in a Highways for LIFE-sponsored Web conference on how to use the manual. He explained how the manual is organized and presented a case study on how to select connection details for use on a bridge project from the manual's collection of proven examples. To download the manual, visit www.fhwa.dot.gov/bridge/prefab/if09010. To view a recording of the Web conference on how to use the manual, visit www.nhi.fhwa.dot.gov/about/innovationseries.aspx.